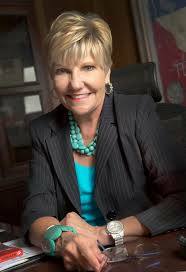 Profile Response: Mayor Betsy Price, Fort Worth TX | How Will We Live Tomorrow? ← Recommended Books, Music, and Films for How will we live tomorrow? 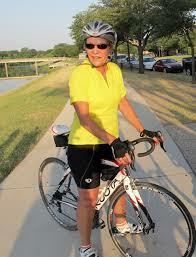 Mayor Betsy Price has been named America’s Most Bike-Crazy Mayor. I cannot dispute that title. When her child was small, Betsy pedaled him around in a trailer. She has ridden RAGBRAI twice, and the Wichita Falls August center ride, Hotter’N Hell, a sizzling seven times. The popular three-term Republican mayor, who ran unopposed in her last election, has brought her love of cycling to the Mayor’s office. She holds rolling town meetings every Wednesday evening, and spearheads the ‘Tour de Fort Worth’: 21 days of cycling that runs concurrent with the Tour de France. After she spoke, Mayor Price threaded through the crowd. She returned to ask me more details of my trip. I wished I lived in Fort Worth, so I could vote for her. But I’m pretty sure she’s got the job as long as she wants it. This entry was posted in Responses and tagged America's Most Bike-Crazy Mayor, Betsy Price, Fit Worth, Fort Worth, Mayor Betsy Price, Walk Worth. Bookmark the permalink. This is fantastic! My family just recently moved to the area, and I’ve heard such great things about Betsy Price. I love her joie de vivre! You have one awesome mayor there!